The final round of the Audi R8 LMS Cup, a series that was introduced in Asia in 2013, will be held this weekend and Shanghai. 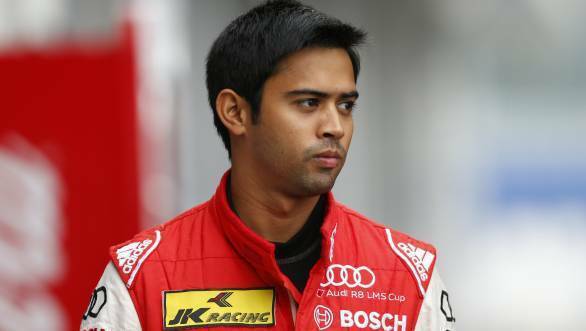 What's interesting for us in this part of the world is the fact that Indian racer Aditya Patel, who has made something of a name for himself in the field of tintop and GT racing, will be competing in the event and challenging for the title too. The season has been a mixed one for Patel. While he did extremely well in the first half, scoring 80 points along the way, there have been more than just a few incidents that have marred his performance in the second half of the season. The result? He's scored just 12 points in the second half of the season. "It's been a mixed year. After starting off so well, things didn't really go as per plan in the second half of the season. But that's racing. I still have the slimmest chance of fighting for the championship and the goal for this weekend is to win a race and score as many points as I can!," said Aditya of the big race that's coming up. So who is he up against? The man at the head of the championship standings is Alex Yoong, with 127 points. Also on 127 points is Franky Cheng. 17 points adrift of the pair is Marchy Lee, who has 110 points going into the season finale. Thomas Fjordbach with 106 points is fourth in the championship right now, and Rahel Frey, with 95 points, fifth. Aditya Patel is currently sixth, 35 points behind the leaders, with 92 points. We'll keep you posted on how his weekend goes. Stay tuned for updates.